As the asset swap talks between Vodafone and Liberty become public, it is clear that the model of vertical integration in the TV industry is pretty much dead. This model saw the likes of Sky and Comcast become major content producers, as well as aggregators and distributors of content. Many companies have tried to intermediate this market over the years, but none have really succeeded. 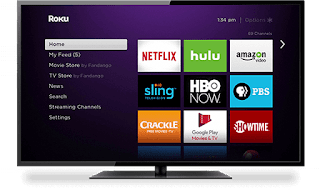 Some, such as Project Kangaroo and Joost just faded away, others like Roku and Tivo found a niche amongst cable cutters and cablecos respectively. The problem now is that IPTV has finally become a reality: that is, you can afford to deliver TV over broadband and LTE networks now, so the dynamics have changed. Sky has aggregated a pan European aggregation service and certainly has clout in the production market, but distribution is becoming an issue for them as broadband and LTE provide a viable (and often better) option to satellite (SVOD is a non starter over satellite, for example). Hence the comoany rolling out Sky Go and Now TV. In the US Comcast really has nowhere to go: it is clear that its dominance of cable precludes it from making scaled acquisitions as the aborted Time Warner deal showed. But there are really no neat options in terms of broadband fit AT&T and Verizon are too bug and Sprint and T-mobile do not have broadband infrastructure. Every company in the Production - Aggregation - Distribution stack are having to ask themselves where they go from here. In the world of TV everywhere, how do you get all of the produced content to be available to everyone, everywhere on every device ? This is the frustration all consumer face, angered by the fact that they need to access six or more services and up to twenty apps, even if they are willing to pay, to see everything they'd like to follow. Personally in the UK, I have to have subscriptions to Netflix, Sky and BT, apps from the BBC, Five, Channel 4, ITV, S4C and still frequently end up not being able to see the latest movies or sporting events, especially after the event. In the US, as the likes of Discovery and HBO launch their own SVOD services. On my iPad and PC, the EPG has just fragmented into an unmanageable mess. As well as the distruptors mentioned and gone, many far larger organisations have aspirations on doing something about this. But having seen the way they have plundered the publishing industry in Google's case and the music industry in Apple's case, TV and video content owners are wary, to say the least. So the solution probably lies in lessons from other more mature industries such as retail, where you can find all kinds of brands, major and minor on the shelves if your local supermarket. At this moment in time this may be a bad analogy due to the problems in this market, but this is an industry in a different lifecycle. Content is not a commodity and therefore needs and effective and flexible marketplace. The best people to achieve this are not the producers, whose output it always going to be limited no matter how big they are, nor the aggregators, who moderate content based on their own narrow commercial criteria, but the distributors, who can go out and do deals to represent the whole market. Liberty's Virgin Media is able to carry sports from BT and Sky, as indeed could Vodafone, Sky and Comcast and hampered by their content and aggregation interests. Gradually as these companies consolidate they will learn how to focus as ITV has done around production in the UK and US. But all the time Apple and Google will be there, patiently building their empires, with massive chequebooks which will enable them to either succeed or squander.